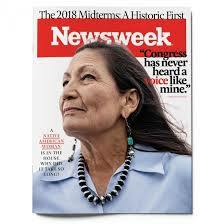 We would like to express our congratulations to you on your election as one of the first Native American women in the United States Congress! We know you appreciate how important it is for American democracy to be truly inclusive. We are among the 26 million independent voters who were excluded from voting in the 2016 presidential primaries. In New Mexico 19% of Native American registered voters are independents. Among the grouping of voters who self-identify as independents nationally 30% are African American voters, 41% are Hispanic voters and over 50% are young voters. On behalf of independent voters, we write to ask you to make another important stand for inclusion, by calling on the Democratic Party to open its 2020 presidential primaries to independent voters. Independent voters, who were 30% of the electorate in the 2018 midterms, played a key role in electing Democrats to a majority in the House. Independents are determining the outcome of national elections. We believe that it is time for the Democratic Party to open its presidential primaries to independent voters. The Democratic Party in New Mexico—as well as nationally—has the authority to open its presidential primaries to independents. It is critical to give all voters, including independents, full and equal voting rights in America. This political reform is not only important for independents; it is vital for a qualitative reinvigoration of American democracy into a political process that is really inclusive from the bottom up. Dr. Jessie Fields is an activist with Independent Voting, the largest organization of independents nationally. We, the additional signers, are independent voters and activists in New Mexico. The President of Independent Voting, Jackie Salit, has authored a letter (attached) to DNC Chairman Tom Perez, which more than 950 independent leaders and activists from all 50 states have also signed. Independents and leaders of our movement would love to meet with you to discuss this issue and the important role of independent voters in American politics. We hope you will play a leadership role in this historic endeavor.